I don't know who ever said that work outfits needed to be difficult to put together, but they were just plain wrong. Let's dispell that myth once and for all. Dressing really well at the office is actually quite easy. In my opinion, it all comes down to incorporating the right office wardrobe essentials into the mix. 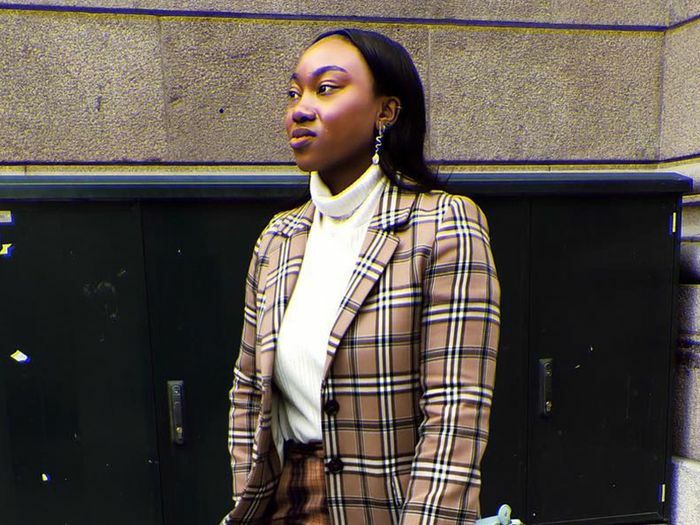 If you have a solid array of pieces to work with that are both office-friendly and that you truly get excited to wear, you'll never stare blankly into your closet wondering how to get dressed for work again. If you're not sure how to build the right capsule wardrobe for work, well, that's where I come in. To make getting dressed for work a breeze, I went ahead and put together my short list of the classic office essentials that deserve a spot in everyone's wardrobe. These are the pieces you'll rely on for three main reasons: They won't soon go out of style (as in, probably never), they'll ensure you'll always look put-together no matter what else you're wearing, and I have a strong feeling they'll be getting a lot of airtime outside your office, too. Ready to see my five classic office wardrobe essentials? Keep reading to shop them all and rest assured you won't be stressing about work outfits again. If you live in skinny jeans, a classic black pair should 100% be in your closet. The dark wash feels a bit more polished than regular blue, and just to reiterate what we've said many times before, they're one of the most versatile jean styles you can own. If your mind’s on your pilly sweater or faded blouse, you’re not going to feel pulled together. This washer has six different wash motions, so it cleans your clothes ultra-gently. Consider it another part of your capsule work wardrobe. No matter what else you wear, a checked blazer will pull the whole thing together seamlessly. Wear with the above black jeans, a printed dress, or really anything in between. For days when you just don't want to slip your feet into heels, be sure to have a pair of flats on hand that are just as stylish as any of your heels. We recommend flat mules and loafers. A white T-shirt is a staple in everyone's wardrobe, but it's especially useful to have several on hand for work outfits. Wear them to dress down a pair of trousers or to layer underneath sleeveless dresses. Wear a slip skirt with the above checked blazer, white T-shirt, and flats and you have yourself a cool and easy work uniform you can repeat over and over. Not to mention that a satin slip skirt is an ultimate day-to-night piece. Next, read about the number one piece to invest in for work, according to entrepreneurs.